Main Point: Leaders let others go first! 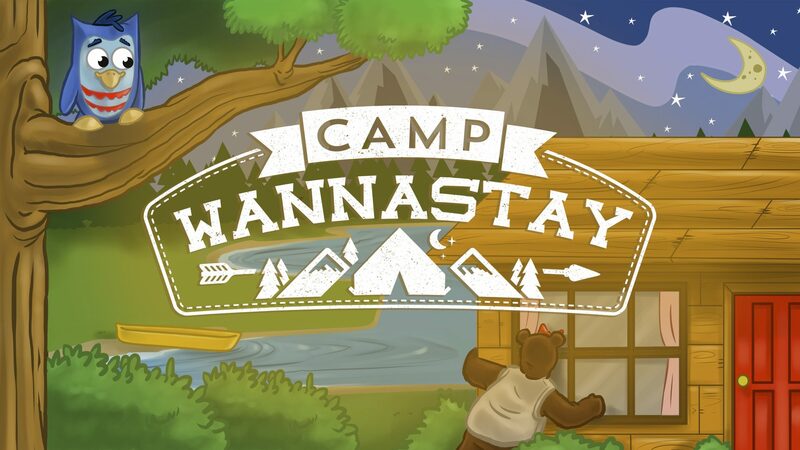 We celebrated Blue Beaver Day at Camp Wannastay by catching bugs, making s’mores, and learning how to be a leader! Leaders let others go first! We can be leaders by giving our biggest cookie to a friend or taking turns on the trampoline. 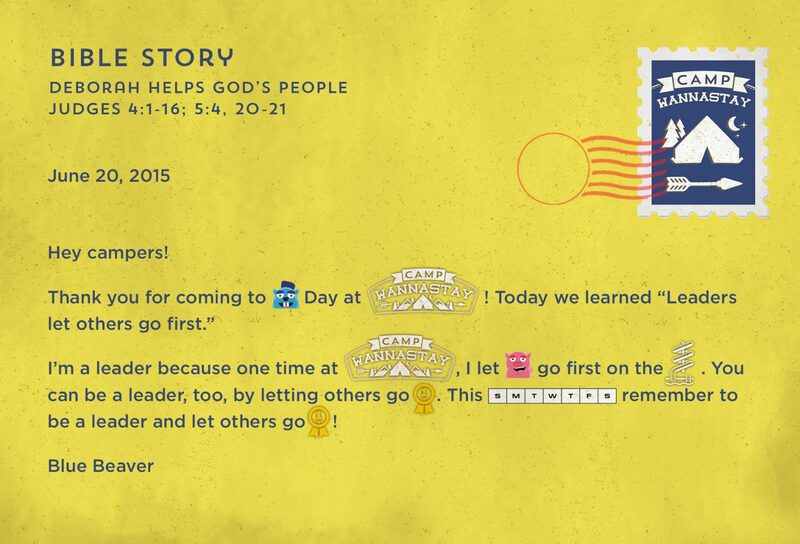 This week, Brownie Bear shared a campfire Bible story about Deborah to help us learn how to be a leader who let’s others go first. Deborah let others go first by letting Barak lead the army into battle! We also received camp mail from Blue Beaver! Remember: Who was the leader you learned about at Camp Wannastay this week? Think: Did Deborah let others go last or first to help win the battle? 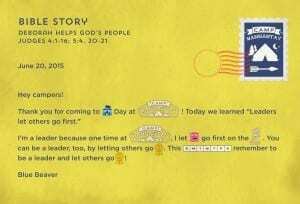 Follow: Can you be a leader like Deborah and let others go first?